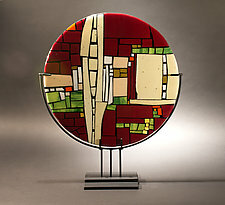 "Our intense need to create, to channel energy, led us to work in the fused glass medium." 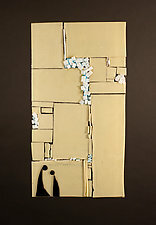 Longtime friends Meg Branzetti and Vicky Kokolski grew up amid the excitement and cultural diversity of New York City, nurturing their imaginations with visits to museums and the theater. 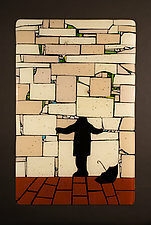 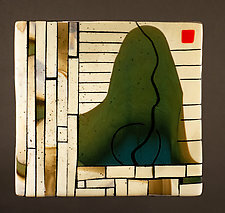 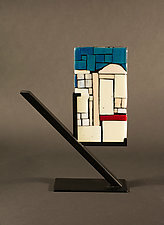 For years, each worked independently—Branzetti as a stained glass artisan, Kokolski as a potter. 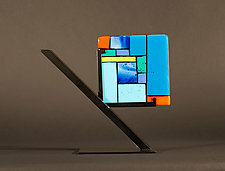 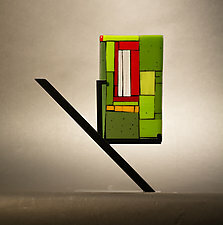 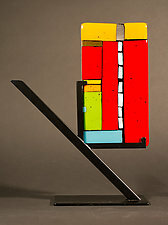 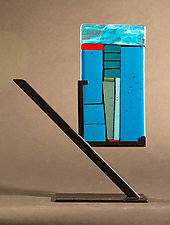 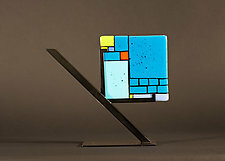 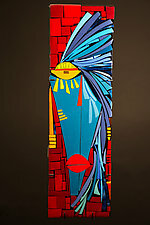 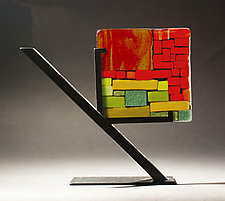 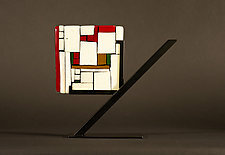 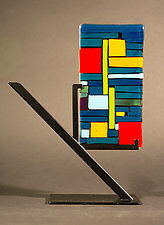 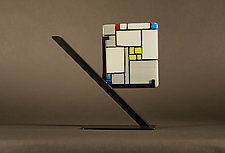 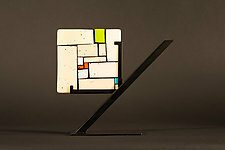 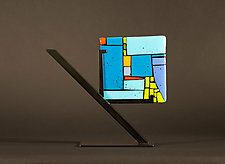 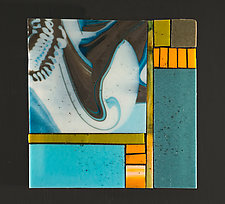 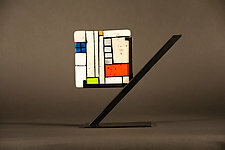 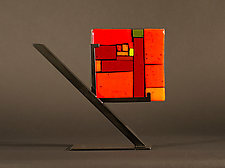 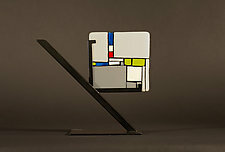 Today, their friendship fuels MeKo Designs and culminates in striking fused glass panels. 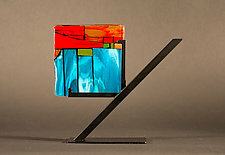 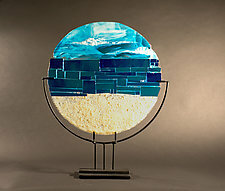 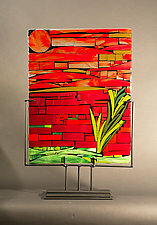 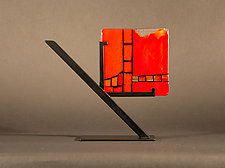 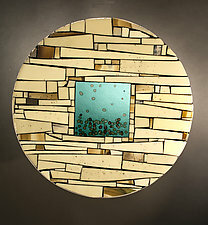 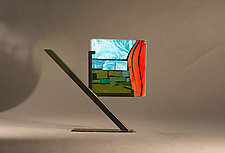 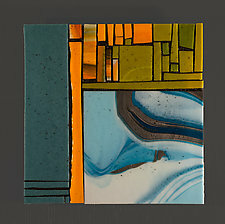 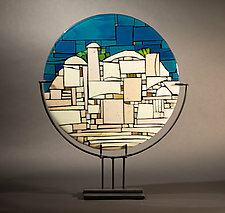 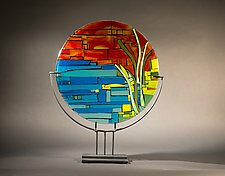 To produce the compelling, dramatic effects of their panels, the artists select, cut, and arrange pieces of brilliantly colored glass and then kiln fire the resulting creation. 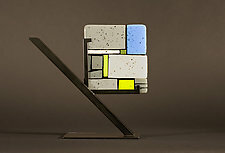 Individually designed metal frames balance and enhance the glasswork.